WASHINGTON — The National Highway Traffic Safety Administration (NHTSA) is moving ahead with plans to revise safety rules that bar fully self-driving cars from the roads without equipment like steering wheels, pedals and mirrors, according to a document seen by Reuters. The auto safety agency, known as NHTSA, "intends to reconsider the necessity and appropriateness of its current safety standards" as applied to automated vehicles, the U.S. Transportation Department said in an 80-page update of its principles dubbed "Automated Vehicles 3.0" being made public on Thursday. The department disclosed that in an upcoming rulemaking, NHTSA wants public comment "on proposed changes to particular safety standards to accommodate automated vehicle technologies and the possibility of setting exceptions to certain standards — that are relevant only when human drivers are present" for autonomous vehicles. U.S. Transportation Secretary Elaine Chao, who will release the report at event at the department's headquarters on Thursday, said in the report self-driving cars have the potential to dramatically reduce traffic crashes and road deaths, but added the "public has legitimate concerns about the safety, security, and privacy of automated technology." In March, a self-driving Uber Technologies vehicle struck and killed a pedestrian, while the backup safety driver was watching a video, police said. Uber suspended testing in the aftermath, and some safety advocates said the crash showed the system was not safe enough to be tested on public roads. 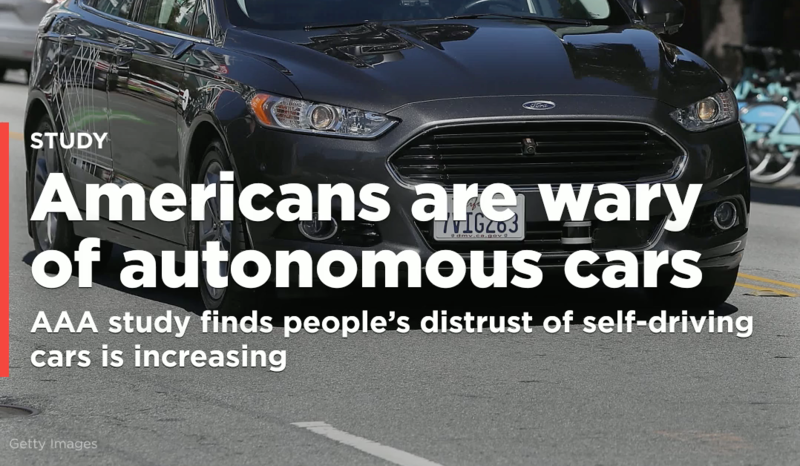 But automakers have warned it could take too long for NHTSA to rewrite the rules to allow for the widespread adoption of self-driving cars without human controls. NHTSA said it could require manufacturers "to use test methods, such as sophisticated obstacle-course-based test regimes" or it could also adopt computer simulation requirements as U.S. law "does not require that NHTSA's safety standards rely on physical tests and measurements, only that they be objective, repeatable, and transparent." The department also said it "no longer recognizes the designations of 10 automated vehicle proving grounds" announced shortly before then President Barack Obama left office in January 2017. The report said "given the rapid increase in automated vehicle testing activities in many locations, there is no need for U.S. DOT to favor particular locations." The report also said the Trump administration will not call for ending human driving. The department "embraces the freedom of the open road, which includes the freedom for Americans to drive their own vehicles. ... We will protect the ability of consumers to make the mobility choices that best suit their needs."